More than 9000 satisfied customers! 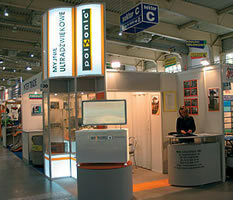 The Polish company POLSONIC has been producing high-tech ultrasonic cleaners for 30 years. The highest quality of our products is guaranteed by many years of our professional experience, the partnership with research and development centers as well as using components produced by international renown manufacturers. The certificates received by POLSONIC also confirm the high quality standards of it's cleaning devices. Our product range is very wide, from serial units of ultrasonic cleaners to customized cleaning installations. We offer proven solutions attuned to the needs and preferences of our consumers. Our ultrasonic cleaning devices operate not only in many European countries but also in Australia, Mexico or India. We cooperate with the suppliers of various cleaning agents in order to provide the most comprehensive and effective cleaning and degreasing technologies. POLSONIC is the leading manufacturer of ultrasonic cleaners for industrial, medical, laboratory and other applications. Why you should choose our cleaner? We are able to build the ultrasonic cleaner fulfilling all customer’s requirements. We provide long-term service and support. Ultrasonic cleaning is a modern technology that provides fast and excellent results. The effectiveness of this method lies in the phenomenon of cavitation.